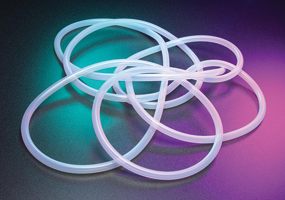 We offer an excellent selection of Saint-Gobain Sani-Tech platinum-cured silicone tubing, for a variety of applications. The Sani-Tech sanitary silicone tubing is ultra pure biopharmaceutical-grade tubing, that boasts a use life unrivalled by any other tubing range. 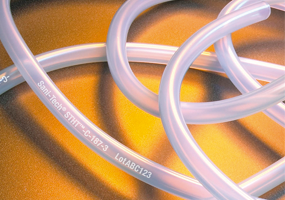 The innovative design allows the Sani-Tech silicone tubing to become resistant to temperature extremes, ozone, radiation, moisture, compression sets, weathering and chemical attack, protecting your fluid transfer & ensuring the integrity of your process. The Sani-Tech Ultra range is the market-leader in sanitary silicone tubing, produced by Saint-Gobain specifically for the biopharmaceutical market. Understanding that fluid integrity is vitally important in biopharmaceutical applications. Sani-Tech Ultra silicone tubing is manufactured and packaged in a certified clean room from the finest grade of silicone materials. Ultra-low TOCs ensure that contamination by extractables is kept to an absolute minimum, and the formulation imparts no taste or odours. 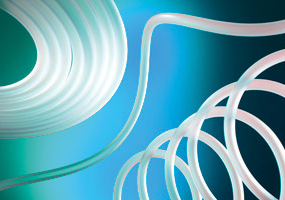 Sani-Tech Ultra silicone tubing can be combined with Sani-Tech Sani-Link Ultra platinum-pured manifolds to create custom configurations for demanding biopharmaceutical applications. This silicone tubing can withstand repeated autoclaving and sterilisation methods, but also resists the adherence of blood products & other sanitary fluid transfer. Sani-Tech STHT-C Silicone Tubing, in 1/16'' ID and greater, comes with laser-marked part numbers and lot codes to provide total product traceability. Sani-Tech SIL-250 Silicone Tubing is a high-performance, extended-life, platinum-cured silicone product, which is specifically designed to suit peristaltic pump applications. Its unique structure & characteristics helps to reduce any production downtime due to pump tubing failure. The tubing has an extremely smooth inner surface that helps minimize the risk of particle entrapment during sensitive fluid transfer.